Nearly two decades in aviation have blessed me with the opportunity to immerse myself in many corners of the industry, flying aerobatics, formation, sea planes, gliders, antiques, experimentals, turboprops, and jets. As a pilot, I’ve been a student, instructor, coach, judge, competitor, volunteer, corporate/charter captain, crop duster, aircraft owner, and more. I’ve given seminars, written countless articles and blog entries, organized fly-ins, camp-outs, and flown around the world. And yet the more I do, the more it seems is out there waiting to be discovered. In that vein, there’s always been one particular segment of aviation aficionados who’ve piqued my interest. Perhaps you’ve noticed them, those random folks who spend hours hanging out around the airport perimeter for no discernible reason. When accompanied by binoculars, a camera, and perhaps even a notebook, they can appear rather suspicious. More than one individual has called the authorities to report them. It’s understandable. We live in a see-something-say-something era where pretty much anything out of the mainstream is viewed with suspicion. Alas, these folks actually harmless, polite, intelligent people from all walks of life who have one thing in common: an advanced case of “aviation enthusiasm”. In other words, they simply like to hang out at the airport and watch aircraft come and go. One spotter with whom I’m personally familiar is Matt Birch. If that name sounds familiar to any of my readers, it’s probably because he has appeared here before. More than two years ago, I wrote a very popular post about the retirement flight of the first Gulfstream jet ever built. Matt was invited by the captain on that aircraft, Joe Miller, to join the airplane for its last trip to Charlotte, SC where it was to be donated to a museum. I’ve kept in touch with Matt since that post was written, and have become fascinated by the depth of his love of aviation. 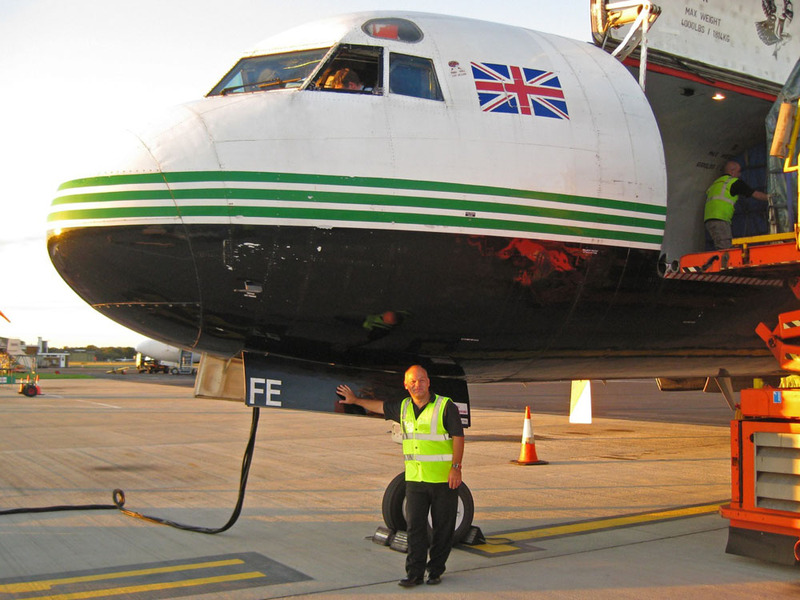 He’s worked for United Kingdom air traffic control service provider NATS for over thirty years. Matt’s father was an aircraft engineer and took his son to airports and airshows in his youth, fostering a life-long interest in airplanes and aviation which lead to him seeking a career in the industry. Air traffic control was the first opportunity that came up, and he’s been there ever since. During his teenage years, both his family home and high school were below the flight path of Manchester Airport in northwest England. Outside of London, this was the busiest airport in the country and aircraft used to fly overhead all the time. Some of Matt’s new school friends introduced him to the world of “plane spotting”, and soon he was hooked. If you haven’t guessed by now, this was a different era. Today, many folks — especially the younger set — are mystified by the idea of wanting to hang out at an airport at all, let alone copy down the aircraft equivalent of license plate numbers. “This was before what I call the ‘PlayStation generation’; I considered it to be a proper boy’s hobby,” Matt says with a slight air of nostalgia. He soon acquired a pair of binoculars, a radio to listen to communication with ATC, and started to go on organized trips to spend the day at other airports and airshows. Many major airports published timetables for purchase, so you knew when particular flights were arriving and departing. Matt continues, “London airports were the busiest and offered the most variation. Airlines from all over the world would fly into Heathrow or Gatwick. The regional airports had less variety, so catching certain airlines required visiting the places they flew to.” A few family holidays to Spain and Portugal added the interest of travel abroad, as aircraft that didn’t visit the UK could be seen on overseas trips. This is one of the first shots Matt took when his father bought him his first camera as a teenager. 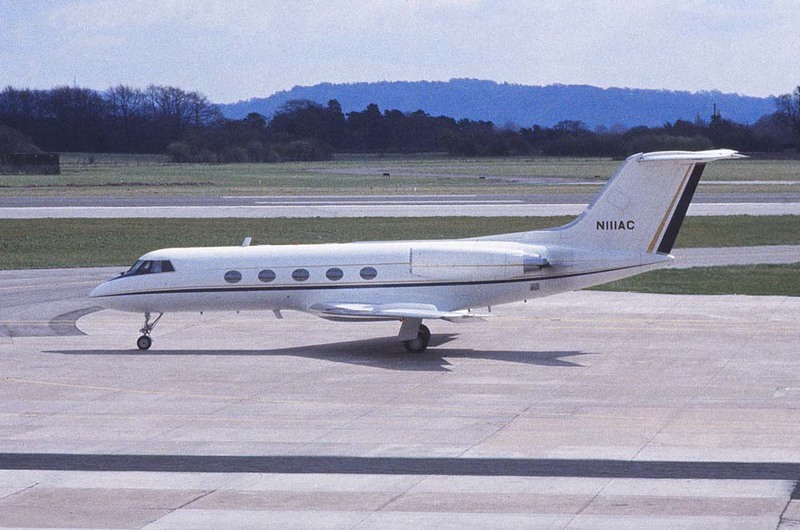 This is Grumman Gulfstream II serial no 74 and registered N111AC, and was taken at Matts local airport Manchester UK in July 1981. A little grainy as it is scanned from a 35 year old slide. You’ve be forgiven for thinking Matt was a kind of geek, but to him, nothing is further from the truth. “Like any hobby, some people become obsessed and it becomes all they do. It can take over your life. There’s no doubt that some can be classed as ‘geeks’, but then it depends on your perspective.” Some people are just focused on effectively ticking boxes, he says. They’ve got to see the entire Southwest Airlines fleet of over 400 737s, for example, and will sit at Phoenix or Las Vegas all day reading the tail numbers until that elusive last one comes in and they can check it off in their book (or more likely a computer database these days). Matt’s interest in aviation has evolved over the years, from simply reading and writing down tail numbers in the beginning to more photographic work and travel these days. “I actually quite like just watching the airplanes come and go, and taking some nice photos, without worrying too much about what the tail numbers are. And over the last few years, I’ve made more effort to travel on many different types of airplanes whilst I can. In my younger days, I didn’t always appreciate the significance of some aircraft. I never made the effort to fly on some types, and that is one regret I have from my many years in this hobby”. The events of 9/11 changed the world, and plane spotting unfortunately came into into suspicion because of it. Just standing by the fence at an airport was suddenly a crime. No laws were being broken, people weren’t any place where they shouldn’t be, but they became instant suspects in the wake of the war on terror. 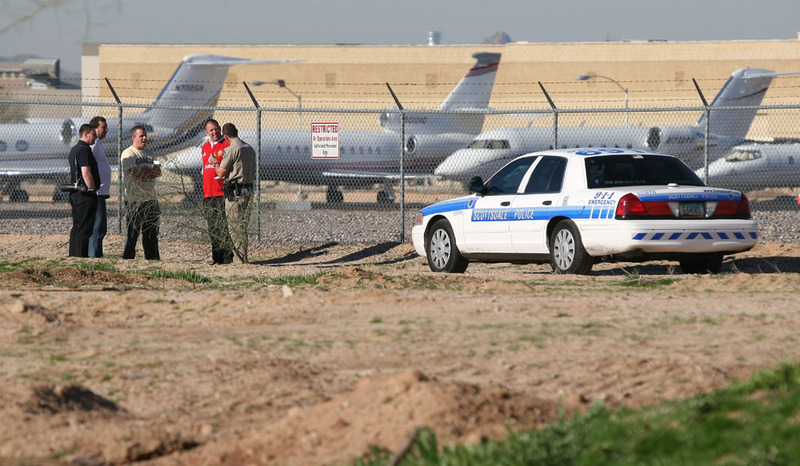 A group of UK plane spotters engaging with local law enforcement in Arizona. This shot was taken at Scottsdale airport, in Phoenix, in February 2008, and was during the weekend that the city hosted the Superbowl XLII. Significant sporting events such as this attract the wealthy and famous, and local airfields are crammed with private jets, parked row upon row. Naturally an attraction for spotters and photographers alike, many enthusiasts will arrange vacation plans to attend this kind of event. In this case the police used the ideal approach – they came along and said hello, they checked out who we are, what we were doing and politely set the boundaries. In this case, we were asked not to go right up to the fence – keep a little distance so as not to alarm the locals or passengers. So the other side of the road where I was stood was perfect for landing shots and watching the action, and provided a situation where every one was happy. Plane spotting as a hobby isn’t specific to the UK, but is probably most prevalent there. Germany and Holland are also strongholds for the spotters, and there are some in the U.S., including some ex-pats from Europe. The term “plane spotter” has come to apply to many facets of being an aviation enthusiast, and it has its own sub-groups. Some just collect the tail numbers, some just take photographs, some just like to fly in different types of airplanes. Some do it all. Some are only interested in military airplanes, or airliners, or corporate aircraft. But Matt does sympathize. “That’s what I would consider real hard-core stuff. You cannot possibly justify that kind of effort or expense to anyone who doesn’t understand the hobby. But back in the early 1990s, I extended a U.S. vacation by flying from LAX to Japan. The reason? Of the 256 Grumman Gulfstream IIs built, the only one I had never seen was based in Nagoya as a research airplane. I had arranged with the company to go and photograph it, so I flew half way across the world to see this one airplane. Tell that story to anyone except a plane spotter and they just say ‘Are you crazy? WHY?’”. In October 1999, Matt made a pilgrimage to Nagoya, Japan in order to take pictures of this airplane. 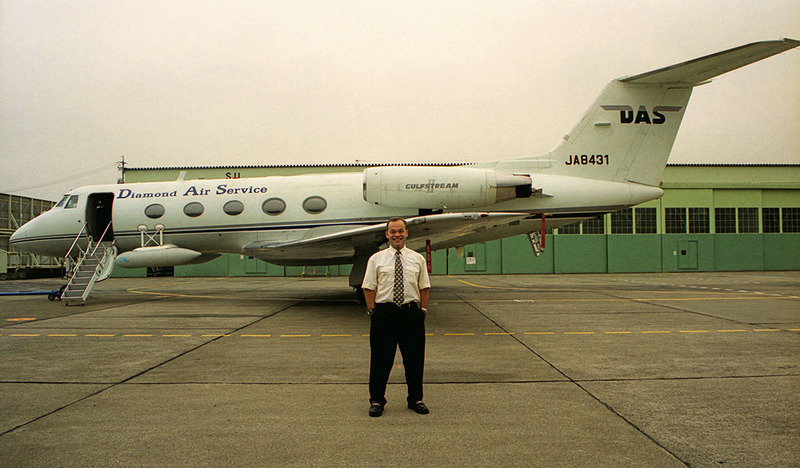 This was the only Gulfstream II that he’d never seen. 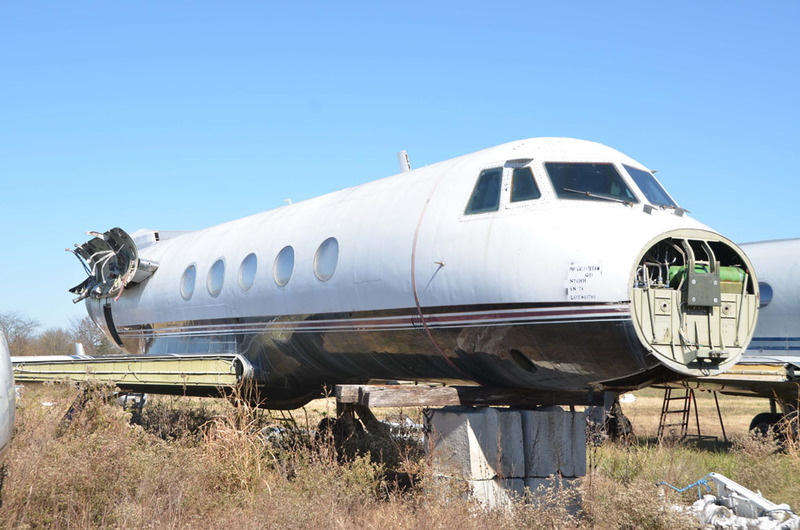 The airplane was in use as a flying research laboratory and hardly ever flew outside of Japan, although ironically it was at Gulfstream’s maintenance facility in Las Vegas for several weeks earlier this year for some kind of heavy check, which will seem to indicate it will continue flying for some time yet. One thing plane spotting has in common with flying is how male-dominated the activity is. “In nearly 40 years, I only recall meeting a few ladies who are even remotely into this kind of thing. There are certainly female pilots and ATC controllers, but plane spotting isn’t the same thing – it’s a pastime, not a career. In the groups I engage with, guys are from all kinds of backgrounds and day jobs. Usually there is something starting it off – a family history or living near an airport as a child for example, and many of them work within the industry. I suspect the interest or hobby came first and was a motivational factor in their career choice in the majority of cases,” he smiles. So there it is: the life of a plane spotter. A hobby that is a personally significant extension of being an ordinary aviation enthusiast, built around individual interest and preferences, and with goals and ambitions whose significance is only apparent to those who share the same passions. What a great post! I sympathize with the post-9/11 challenges of plane spotting. My airport did away with many of the decent spotting locations, I believe partly as a result of construction and partly out of security concerns. Even as an airport employee I don’t always feel comfortable plane spotting. For example, the employee lot is a great place for it, but I feel like I need to stay in my car and not be obvious that I’m lingering to check out airplanes. I’d love to wander up to the fence by the FBO because there are often interesting planes there, but scrutiny from the guards usually keeps me away. As the airport looks to build a new terminal I’m hoping to find a way to suggest including some spotter-friendly locations. It is in the best interest of the airport to engage with the community and build support. Besides which, spotters can be another set of eyes watching for suspicious activity on the airfield. (I believe spotters at ORD have some kind of partnership along these lines.) Obviously this is a subect near and dear to my heart – thanks for writing about it and for sharing the experiences of such an accomplished spotter! Glad you enjoyed the post, Jen! Boy, it’s sad commentary that you feel uncomfortable watching aircraft at your own airport! If you were questioned, I’d imagine showing your airport ID ought to explain everything police or security personnel would want to know. Perhaps if you went over to them to say hello and introduce yourself, it might make things more palatable for both parties. As a known quantity, I bet they’d actually welcome your presence. The private FBOs don’t always like people hanging around the airport fence because the customers flying those business jets like to keep their movements under the radar. They don’t want their competitors knowing where company executives are going or who they’re meeting with because it can put them at a disadvantage from a business standpoint. That’s the same reason they block their registrations so that the airplane cannot be tracked on sites like FlightAware. But standing at the fence and watching airplanes? You shouldn’t have to feel awkward about that. Yay! I love anything that makes me feel slightly less like a lonesome freak! I am just old enough (factoring in the New Zealand time difference) to remember when Auckland International had an open air viewing deck on top of the terminal, right over the gates. It was magic. I know from my my reading the London-Heathrow had a similar viewing area back in the day, which was quite the family destination on a Sunday afternoon. Needless to say, those days are long gone now. Of course, security threats are largely in the eye of the beholder, but I always feel like my hanging around the YPAD fence is adding to the surveillance rather than testing it. No shame here: I’m quite happy to stand on the tray of my ute (ie pickup) to take photos with less barbed wire in them. We’re also blessed with some excellent vantage points at the southern end of the main runway, as well as a dedicated viewing, provided by local government, abeam the most used touchdown point. It’s no plane spotter’s dream, but a lot better than some. That viewing deck above the gates must have really been something! It’d be hard to get photos from that perspective without a drone these days. Plane spotters could — perhaps should — be airport security and law enforcement’s best friend. They know the airport layout, aircraft, schedules, and overall operations probably better than anyone. Oh, the folks on the inside may know their own piece of the puzzle because of their job, but aside from the airport manager, who knows the perimeter, sights, sounds, and such more intimately than the ones spending hours observing airport ops simply because they love it? Who better to detect something abnormal? And most of all, who better to know the other plane spotters and be able to tell a genuine aficionado from a terrorist collecting information for an attack? If they were smart, the security folks would bring you the coffee and doughnuts, say hello, and give you a business card or two. They’d stop by every now and then, get to know you, and make the local plane spotting community an extension of their own eyes and ears. When they got to know you well enough, they’d arrange a tour of the tower, really make you a part of the airport fraternity rather than someone who, simply by virtue of looking through a fence, must be up to something nefarious. Absolutely. Talk to any country copper (or a good number of their metropolitan colleagues) and I’m sue they’d agree you just gave the perfect definition of “good policing”. And anyway, I, for one, intend to keep doing my bit whether the airport’s people appreciate it or not. Very nice article. I remember watching Viscounts, DC-6’s and 7’s, Constellations, Electras and others going into and out of KMDW. The variety was fun to see. We lived (and still live) on the approach to 31C, and you could also sit on top of the old terminal, too (the one in North by Northwest). Wow, you rattled off some true classics there. Slower and less capable than today’s designs, sure, but they more than made up for it with elegance and panache. So many phenomenal (and sanctioned) viewing locations have fallen by the wayside, many of them immortalized in film. The LAX Theme Building, the Windsock Bar & Grill at Lindbergh Field, etc. 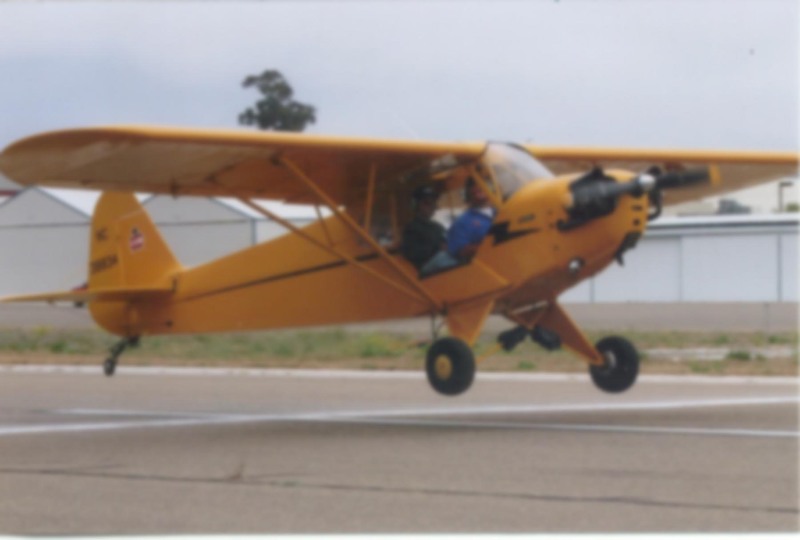 My local field, John Wayne Airport in Orange County, CA had a great one right next to the runway at one time (photo). It’d be great to get some prime viewing locations opened again, don’t you think? The large commercial airports are locked down pretty tightly, but you can still find official viewing areas around many GA airports. Sometimes they have the more interesting hardware anyway. Santa Monica (ironically) has one of the best. Even Van Nuys, a busy charter and corporate field, has a sanctioned area for viewing with holes cut into the fence for photographers combined with a kid’s aviation themed playground. If you ever get out to Camarillo (CMA), they just installed a miniature airport right in front of the restaurant, complete with windsock, runway, control tower, the works. So there are some bright spots out there, but you definitely have to search for ’em. EMT has a good viewing spot from the patio of Annia’s restaurant. It is my “home” airport. A different time indeed. I too remember the service and civility, dressing up to fly, having the captain walk through the cabin to chat with passengers, being able to visit the cockpit in-flight, and the whole experience of airlining being something everyone looked forward to. I hope the next generation will be part of their own golden age of aviation rather than having to experience it through stories and photos from a time which recedes further and further in the rear-view mirror with each passing year. It was wonderful! One year, probably 1969 or 70, on our annual trip to India, my mother, who made all our clothes, made matching white lace sheath dresses, LINED!, for my sisters and I to wear on the plane. There were 3 of us! You coldly buy clothes like that today! We dressed up and were expected to behave like ladies. My dad wore a suit and my mother her best sari. The food was excellent, as was the service. Because flights were not long haul, they stopped every couple of hours, for us Zurich, Frankfurt, Cairo, Tel Aviv and occasionally Beirut (I remember being delayed on the runway by a sandstorm….). You got out and went to the Transit Lounge to stretch your legs while they refueled. Much healthier and more fun as you got to see airports in other countries. I am glad I am old enough to remember those days. Long haul flights are a disaster! Just wondering if you’ve ever flown the staggerwing beech, and what your thoughts were about the experience? A wonderful article he reminds me of myself only I never was a fan of taking aircraft numbers I just like take photos and watch . It so sad there so few viewing spaces now I was born in the UK and I have lived in New Zealand twice in the 70s and I moved back here in 2004. 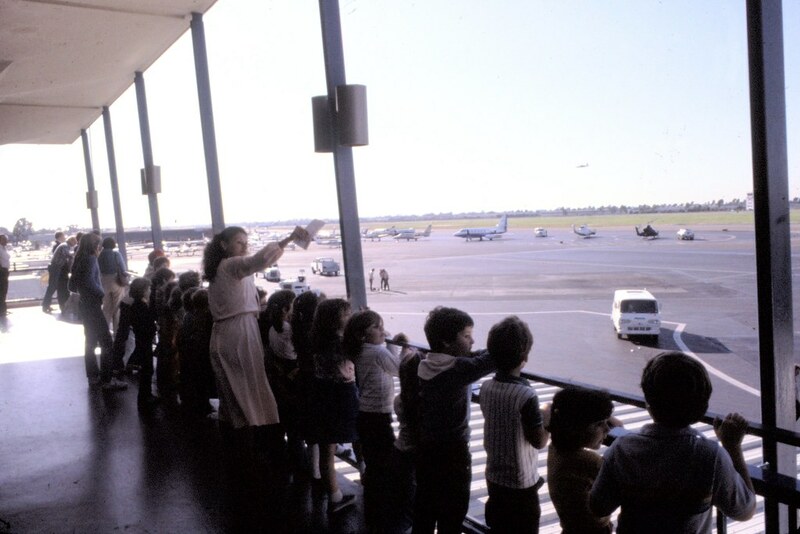 One of my fondest memories of my childhood was of Heathrow and the Queens building viewing terrace watching Concord take off and being able to stand at the end of runway and watch 727s and other aircraft land which I am sure you can’t do anymore. LAX has to be the best place to watch aircraft land in the US In & Out burgers on a summer evening watching a A380 on finals is amazing. In New Zealand we just don’t get the same amount of air traffic as a place like LA. 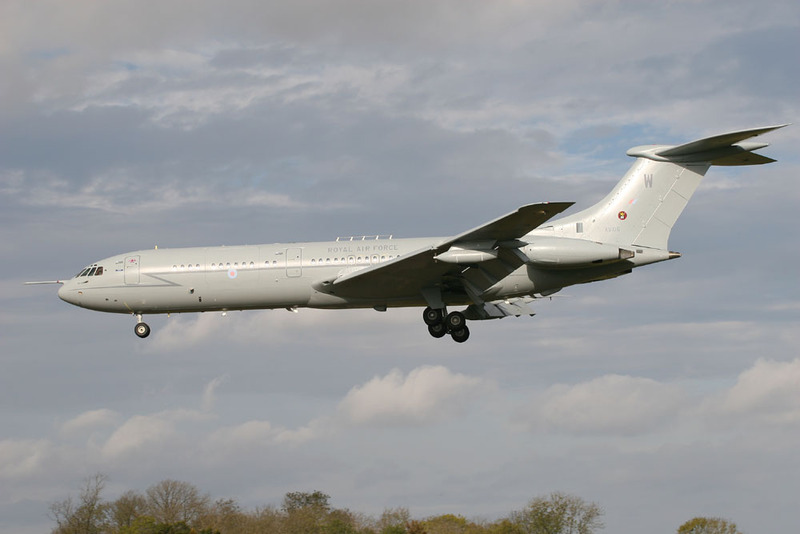 Anyway a wonderful post Ron the VC 10 was a wonderful aircraft I have flown in them a few times when I was in the British army. Just wish I could do that again. Politicians have all but closed down our local airport to any aviation enthusiasts, in favor of tourist commercial aviation, with two “charter” airlines. What really bugs me, outside of having a PPL I can’t use there, as there are no local GA rentals anymore, and the local law enforcement groups, (local city police, outside their district, county sheriff’s deputies, state police,) will only be too glad to have you in one of their offices for some kind of “informal investigation.” The thing about it, I was the airport ground ops supervisor before the county took over as sponsor, and now feel as if I, and any other aviation enthusiast, are not at all welcome at this airport. Love this article! I came to love flying and aviation at a young age flying on 727s, L-1011s and the old Beech prop regionals. It grew into photographing planes at Bangor and posting them to my blog and on Facebook. Cool liveries, random planes, whatever, I don’t care if it’s a Cessna 182 with a cool paint scheme or the Queen of the Skies the 747. I’ll be there with my camera, FlightAware and FlightRadar24 app on my phone. My fiance has embraced my inner plane geek and has actually picked up on things here and there. I live just off the end of runway 15 at Bangor International in Maine. While the majority of the scheduled flights are CRJs, we’re also home to an air refueling base so we get some cool military stuff(B-1s, C-5s, C-17s, E-6s, P-8s, etc) but also some cool business jets and commercial airliners on delivery from Europe. Oh and the Antonov AN-225 about 1-2 times a year. The airport management embraces our hobby and has set up a spotters group. Not everywhere is like this, which is sad, but as you said, Post 9-11 America. I’m glad I’m not the only one! Wow, living off the end of the runway at Bangor! I bet you do see many unique things flying through there. It’s sort of a “last stop” before heading off to the nether regions on the way to the Continent. Most of the “classic” stuff doesn’t have the range that the new airplanes do, so you get access to things the rest of us probably rarely — if ever — see anymore. It’s so nice to hear Bangor is spotter-friendly. 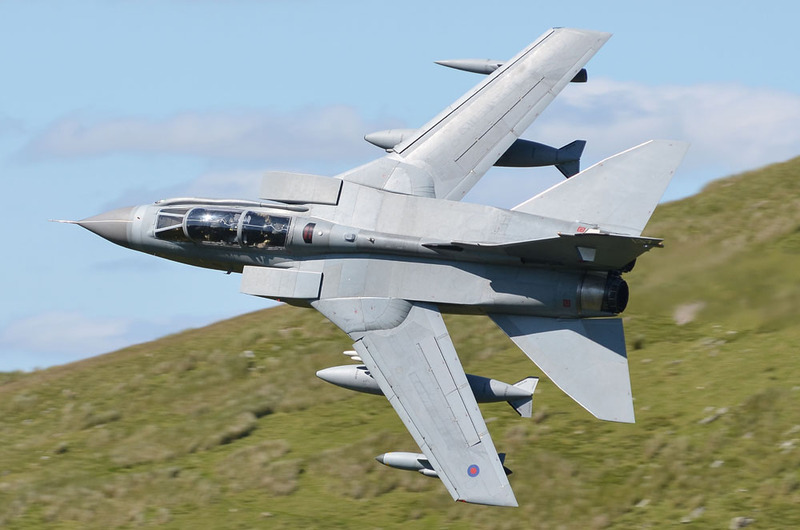 Often we only hear the bad news; it’s important to remember there are many places where aviation and those who love it are celebrated rather than eyed with suspicion. Thanks! We get quite a bit as you said with the last stop before heading across the pond. The KC-135s are usually up and around but a lot of the military traffic is in the form of C-17s and an occasional C-5. When Red Flag is going on at Nellis, you really never know what country is going to pop in with a tanker and fighters. One of the best shots I got recently was an Airbus A400M. Rare bird in the US for sure, but we’ve seen it 4-5 times in recent months. The airport management is great with the spotters coupled with the Maine Air Museum and their new spotting platform on taxiway Alpha just across from the piano keys on 33, it provides a great spot to catch the rare birds, and an occasional cool regional jet.